The New York Times reported another facet of autism that will likely be added to parents/guardians who tremble in fear about what could happen to their autistic kids. Those who use swings as a calming force may be at risk from falling metal shavings that peel as the suspension apparatus wears. The paper cites a medical journal article where two boys were treated repeatedly for metallic fragments that got lodged in their eyes. Recommendations to solve the problem include giving children safety goggles for therapeutic swings. Obviously, the matter isn’t laughable as anything that gets stuck inside someone’s eye can cause significant damage. In terms of New York Times coverage, Autism Awareness Month did little to fuel new stories for 2010. However, it’s not easy for the paper to find an autistic child whose eyes were lodged with metal fragments from swings since the city doesn’t have much breathing space for backyards; you have to head outside the city limits. Not much is given on the frequency of such incidents. One theory relates to their low awareness for danger; the last thing autistic kids are thinking about, when swinging to calm the senses, is the condition and integrity of the swing. For the audience, the biggest concern with the story may be a parental overreaction to safeguard their kids. People are already scared enough, and who’s to say this doesn’t happen with “normal” kids as well. Despite the knowledge caregivers would find important, the story isn’t a landmark article on the developments of autism. The news may encourage parents to find other forms of therapy, but I doubt sales of swings will drop significantly over metal shavings. Did Sir Arthur Conan Doyle have a leg up on the rest of us with his most famous literary character? 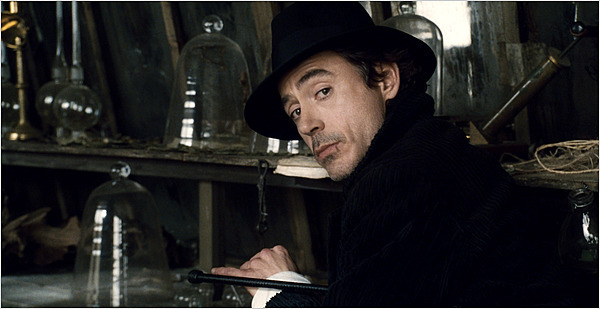 I have yet to see Sherlock Holmes, although I do intend on viewing it this week as I hear Robert Downey, Jr. helps carry the film from a so-so production to an above average one. I’m a sucker for actors who can make something out of material that is otherwise unimpressive. Prior to the film’s release, Dr. Lisa Sanders examined the character penned by Sir Arthur Conan Doyle as she ponders the idea of Doyle capturing a psychiatric disorder long before medical experts detected it. Those of you training for Jeopardy! will be interested to know that Doyle trained as a physician at the University of Edinburgh, later transferring his medical knowledge to the many stories he wrote featuring Holmes and Watson. Speculation of Holmes’ mind isn’t new, with fans and scholars suggesting he either has bipolar disorder or Asperger’s Syndrome. Even if Asperger’s loses its classification status, Sanders notes that the patterns of intense focus and social awkwardness generates parallels of parents whose children display the same qualities. The argument about Holmes and autism is based on a suggestion from the director of the autism program at the Yale Child Study Center. The director says the fundamental quality among all autism cases is “mind-blindness,” the inability to empathize what others feel or think, complicating the process of forming relationships. Sanders points to a few examples in “The Hound of the Baskervilles” to back up this point. The article is primarily a speculative piece about the Holmes character. Given its publication date, the theory of writing the column to generate buzz for the movie is plausible, although no references to the film are made. An equally plausible theory is Sanders using the past to study the present, a fairly common tactic in the journey to understand autism. Although the correct answer will remain hidden from view, the possibility that some of our world’s historical figures, real or fictional, saw the world from a much different perspective can assist in demystifying the plagues of the present. At the very least, studying our history adds another example to add depth to a disability that, for many years, was interpreted solely through the eyes of Raymond Babbitt. The Holmes method of solving mysteries is still very much alive as Sanders points out. Without Doyle’s contributions, present-day characters like Gregory House of House and Temperance Brennan of Bones (coincidentally, both FOX shows), with their parallels to Asperger’s Syndrome, may not be so fascinating. 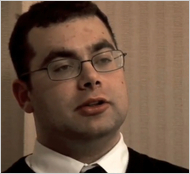 The Asperger/House connection was explored in an episode of the series. Perhaps the most in-depth article I’ve read on autism since I began the blog. An article from the New York Times performs an extended look into the possibility of removing Asperger Syndrome and replacing it with simply autism spectrum disorder. A panel of 13 experts are evaluating autism and other neurological disorders for the new psychiatric diagnostic manual due in 2012. Their argument is that Asperger as a label is confusing and not very useful as psychiatrists shift from a “black and white” view of neurological disorders to a continuum with many levels of severity. Potential controversies are also discussed, as insurers, schools and researches all account for Asperger Syndrome. Australian psychologist Tony Attwood and Temple Grandin, America’s best-known autistic, also suggest keeping the term. Attwood’s concern is that removing Asperger Syndrome as a medical label may inhibit people on the spectrum from being assessed, due to the negative connotations of autism versus Asperger Syndrome. This article highlights the controversies surrounding autism, from accounting for social setbacks and skills possessed by few others to constantly changing labels and the myriad of other health problems that often accompany autism (if only receding hair lines were included :-p ). This is the first article to use percentages to explain how many kids have autism based on federal data. This is also the first article in some time that doesn’t provide the textbook definition of autism or Asperger Syndrome, but summarizes the disability in a way the mainstream can understand. I discussed the significance of both findings in a post I made in October reporting the government studies, suggesting the diagnosis rate was climbing. The New York Times may be considering the increase of awareness from the increase in autism stories and their reporters are electing not to define autism in the classic sense. The public is starting to catch on. What this article also does is underscore the individuality within autism itself, an angle seldom seen in popular press. Most stories told through electronic media often group all autistic people together, not accounting for the abilities that astonish adults and bore playmates to tears. Autism Speaks’ Autism Every Day, released three years ago, is an example of lumping everyone to a single unit. With the proposed changes and almost certain debate forthcoming, we get to look into…GASP…differing opinions within the autism community. Some prefer keeping the Asperger name while others have lived comfortably with the autism label. Instead of a two-sided debate with a for and against side, the Times turns the story into a multi-perspective discussion with the scholarly medical side blending with the real-life side, a useful approach since the autism debate nearly matches autism itself in complexity. On the surface, the article reports a very detailed discussion and debate over a possible exchange in terminology when diagnosing autism in kids and adults. Beyond that could be the beginning of the next stage of social discussions surrounding autism: self-identification. Detailed in modern media including True Blood and X-Men 3: The Last Stand, autistic people with enough cognitive abilities to process thoughts are now asking themselves who they are and who gets to decide how they live. This is no different from anyone else or any other group subjected to the prejudices of privilege and 20th century thinking, but the New York Times story is the first to profile what could be an autistic identity crisis.